I’ve got to get a job that pays like this one…$30,000 a pop for opening your mouth for an hour! 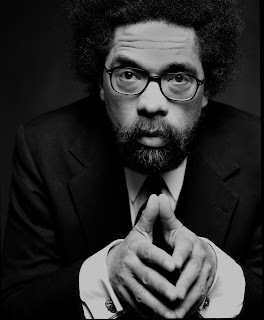 Fresh from campaigning for Obama, Cornel West, one of America’s most renowned intellectual figures, will dissect racial mattes next week on campus. West, the famed author, philosopher, pastor and professor, is known for his outspoken views on the collision of race, politics, morality and society. The always provocative and sometimes controversial West will speak on Nov. 20 at 7:30 p.m., in the Michael D. Rose Theatre. After the event, which is free and open to the public, West will sign copies of his latest book, Hope on a Tightrope. A professor at Princeton University, West will conduct the discussion against the backdrop of the recent election of America’s first black President-elect, a discussion U of M professor Bill Lawson said would not have been possible before. West will receive $30,000 for the speaking engagement from the Student Events Allocation, a branch of the Student Activities Council. The speaking fee, said Teanca Shepherd, assistant coordinator of student activities, is fairly standard for someone of West’s “magnitude.” This fee comes from the student activity fees paid by students enrolled at the university.